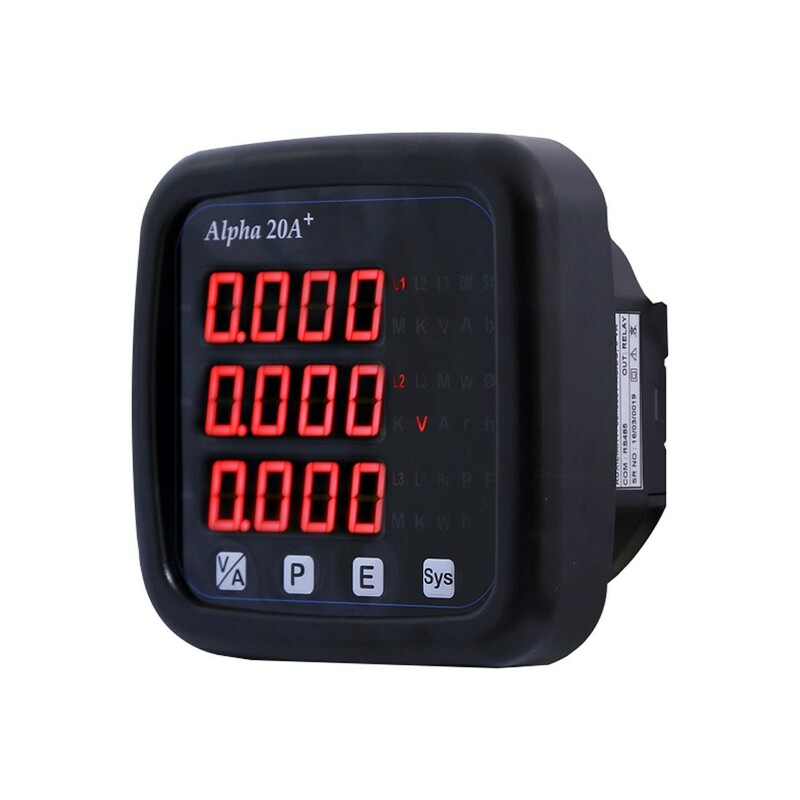 Bright three line four digit LED display that lets the user view multiple three phase power at one time to replace several single function meters. Primary and Secondary potential transformers or current transformers can be programmed through the front panel or optional Modbus. Current Demand, kVA Demand, kW Demand, kW Export Demand are setup to track power consumption and RPM measurement is available for generator applications. Any of the parameters can be assigned to a limit switch for alarms.